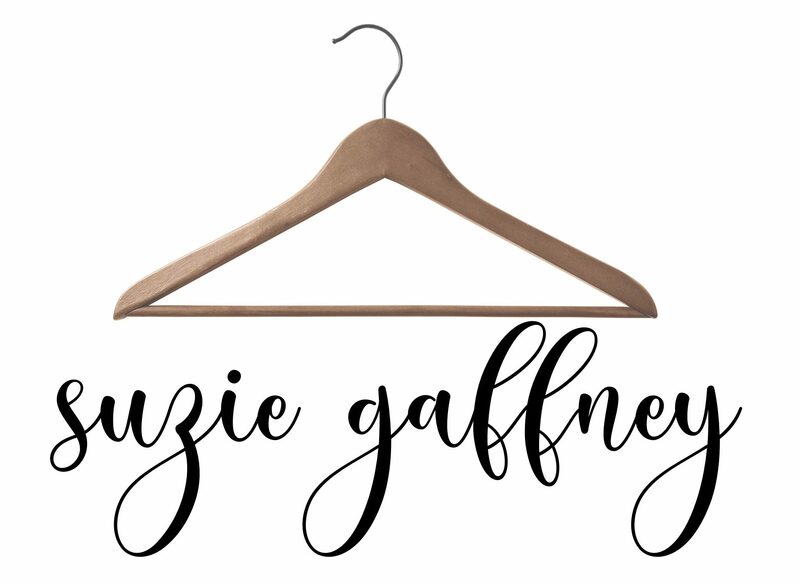 suzie gaffney styling – A complete solution for your clothes and your closet. What’s in your closet? Too much stuff? Not enough? No idea what is in there? Do you walk into your closet and feel overwhelmed, frustrated and discouraged? Is your closet jammed with clothes but you still feel like you “have nothing to wear”? Are you going away and stressing over having to pack and plan out what you will wear? Is there an event coming up but you can’t get excited because you don’t feel like shopping for a new outfit? Don’t have the time or the patience to shop? Don’t worry, I’m here to help! Welcome to Suzie Gaffney Styling. I’m here to to listen to you and your needs, and help you style your outfits around who you are, all in a relaxed and comfortable manner. We start our day by going to our closets to get dressed. If your closet feels disorganized and overwhelming it can set off a negative start to your whole day. Consider me your own personal trainer for your wardrobe – I’ll help you whip it into the best shape of it’s life, and keep it there! I’m also happy to be your closet therapist – What’s keeping you from getting the most out of your wardrobe? How can we make your outfits fit YOUR style and YOUR life? Your clothes should FIT, FLATTER, and make you FEEL GOOD – inside and out. You can have your own personal stylist on hand every day with an app on your phone with photos of your outfits, like a virtual menu of choice to help you get dressed get on to the more important parts of your day. And most importantly we will have fun – I promise! This is a gentle way to weed out what’s not working and put in what WILL work. Imagine how much easier your morning will be if you are greeted with a clean and organized closet that holds go-to no-fail outfit options. It has been said that we wear 10% of our wardrobe 90% of the time. I’ll turn this percentage around to make your closet and your clothes work for you. Each and every client is unique in their needs and their goals. Contact me for an absolutely free phone call with no obligation and let me help you look and feel your best. For pricing and package descriptions please click HERE.